Tai Chi is a mind-body practice that is growing in popularity among older adults. Research suggests that it has numerous health benefits including reduced risk of falls, improved balance, and increased cardiovascular fitness. 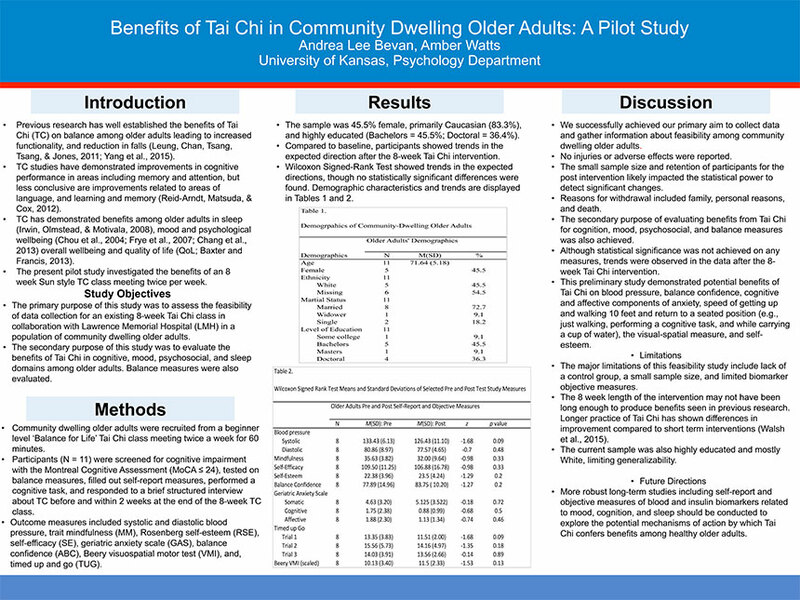 We are conducting pilot studies of the benefits of Tai Chi in collaboration with the Lawrence Memorial Hospital’s “Balance for Life” Program.